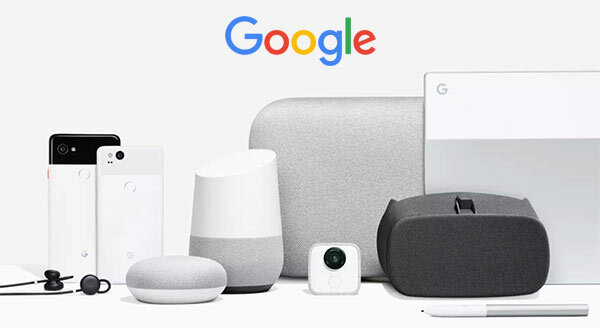 Google has used its highly anticipated event today to announce some extremely interesting new additions to its hardware lineup. The company is clearly looking to go head-to-head with Apple with its brand new Google Home Max intelligent speaker and Pixel Buds, but is also offering an entry-level version of Home which sits closer to Amazon Echo and Dot. There’s also a renewed sense of life pumped into the Chromebook Pixel, but Google is calling it Pixelbook this time around. We have all of the details below. 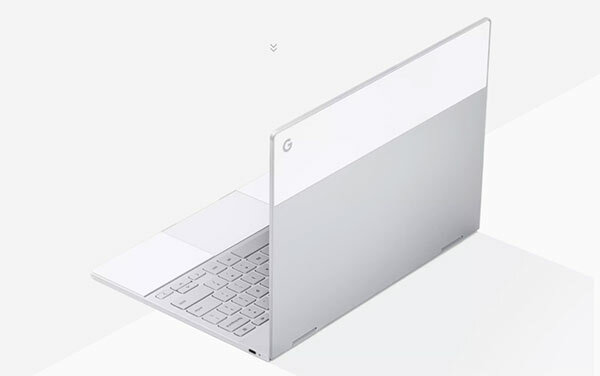 Pixelbook: Google is calling this beautiful piece of kit the Pixelbook, but it’s essentially a high-end version of Chromebook Pixel with a slightly more aesthetically pleasing design. The hardware comes with a 12.3-inch display with a resolution of 2400×1600 (235 ppi) which sits on top of a slab block design machine complete with full-sized keyboard and a large trackpad which should make navigation an easy and enjoyable task. This is also a dual-use, highly versatile creation which goes through a flip motion to become a tablet. The base model, costing $999, will ship with a seventh-generation Intel Core i5 processor and 8GB of RAM. This model will have a 128GB internal storage capacity and two USB-C ports for charging and accessory attachments. Following the likes of Apple and Microsoft, Pixelbook also has a dedicated Assistant key which lets users call up Google’s voice assistant with relative ease. Google is also offering a separate pen – called the Pixelbook Pen – for the machine, priced at $99, which will support pressure and angled inputs. There’s no denying the hardware screams premium from a physical aesthetic perspective, but expect it to scream premium from a pricing point as well as it can cost up to $1,649.00 depending on the specs chosen, and that’s a lot to pay for a laptop that runs Chrome OS. The Core i5 models with 128GB and 256GB storage can be pre-ordered right now with a delivery time of 3-4 and 4-6 weeks respectively. 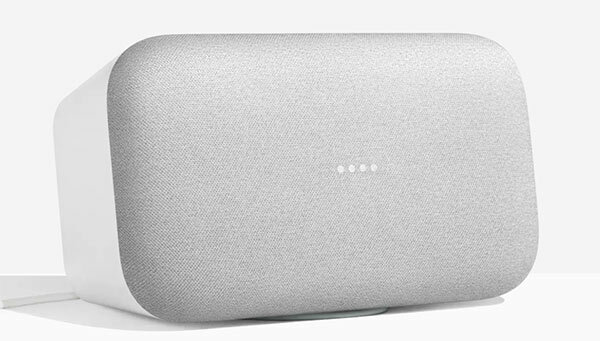 Google Home Mini: Google has deemed it necessary to update its Home speaker lineup as well. The Home Mini is a smaller version of the original Home speaker and brings all of the power that users have come to expect but packed into a smaller, more lightweight form factor. This pebble-shaped design is definitely going to catch the attention of those beauty conscious technology lovers, especially considering it is adorned by a stunning material cover. There are also some four embedded white lights that show signs of activity when the speaker is in use. Google is also promising that this little powerhouse will be capable of delivering 360-degree sound with stunning crisp clarity. This $49 speaker is an absolute bargain when you consider that you can get it with a variety of gorgeous fabric covers in different finish; Chalk, Charcoal, Coral, and that it has all of the features that you would expect from an Assistant-powered device, such as invoking telephone calls, answering questions, and even controlling music or various home automation devices dotted throughout the home. In short, Home Mini is basically Google taking on Amazon’s Echo Dot. Pre-orders for Home Mini are starting today with deliveries starting October 18. Google Home Max: The likes of Apple and Sonos have tipped their hands when it comes to their intentions to try and dominate home audio, and now Google has responded. That response comes in the form of the Google Home Max, a larger gorgeous version of its intelligent speaker hardware. 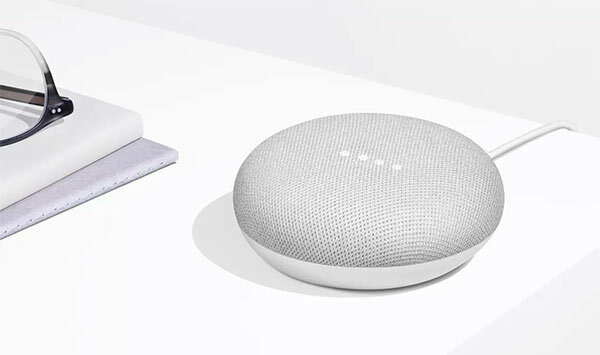 The design isn’t exactly what you would call flawless or beautiful, but it features the same fabric overlay that comes with the Home Mini, or Apple’s HomePod, and has two 4.5-inch woofers. It is bundled with far-field microphones that will hopefully mean the Home Max can listen for commands even while music is playing. Google is also building something called Smart Sound into the Home Max which gives it the ability to automatically tune itself into its surrounding environment in order to deliver the best possible audio experience for that room. That is across music, podcasts, and even telephone calls using intelligent learning algorithms. It comes with touch controls, Bluetooth and Google Cast support, and a 3.5mm audio jack for accessory input. Google Home Max will be available in two contrasting finish; white, and black, and will sell for $399 in December. For those wondering, that is same price as Apple’s HomePod and it even has same shipping time as Apple’s smart speaker. Google is also going to throw in a 12-month YouTube Music subscription to sweeten the deal. 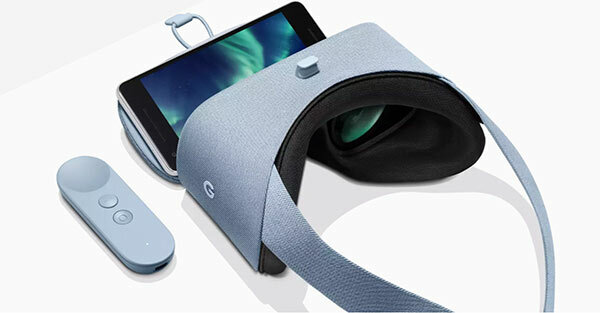 Daydream View 2: Keeping up with the aesthetics of the first Daydream View headset from Google, the company’s second generation headset now commands a price tag of $99 compared to $79 for last year’s model. Google claims to have installed higher quality lens in this latest contraption and is giving you the choice of three different finish: Charcoal, Fog, and Coral. The headset can be ordered right now, with shipping to begin in 3 to 4 weeks. Pixel Buds: These $159 wireless earbuds from Google are a first for the software giant, and are a take on Apple’s AirPods, supporting gestures based functionality, including the ability to invoke the Google Translate feature when paired to Pixel phones. When spoken into the Pixel Buds’ microphone, the Pixel smartphones are able to deliver the translation right out of their speaker in real-time. There’s a 620mAh battery powering the earbuds with a playback time of 24 hours. 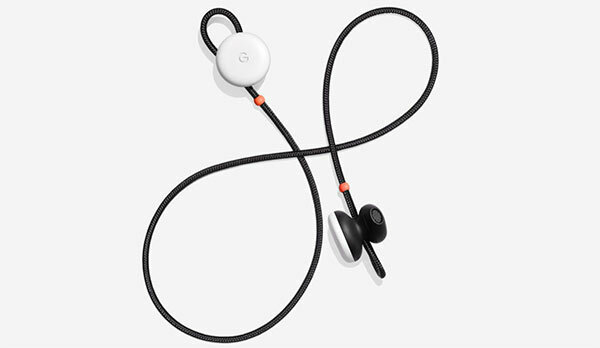 The Pixel Buds are available in Just Black, Clearly White, and Kinda Blue colors. You can place your order right now, with shipping expected in 6 to 7 weeks. 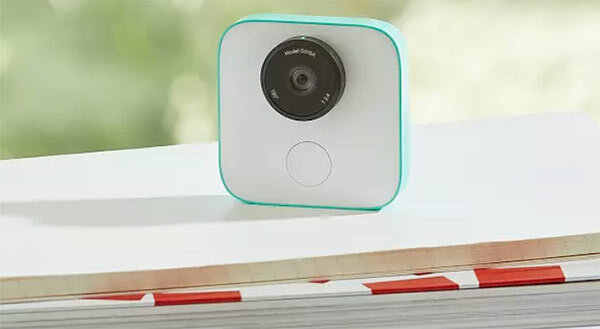 Google Clips: Clips is an AI-powered lifelogging camera that takes candid photos of the most interesting subjects while you wear or clip it anywhere. It also captures sound-less video clips at 15fps. Photos are captured in 12MP with a 130-defree FOV. Storage comes in at 8GB for now, with Google asking $249 for the camera. There’s currently no availability date on Google Clips. Updated Google Assistant: In addition to new hardware, Google is also introducing new features to the updated Google Assistant, including the ability to integrate your everyday routines into commands and even broadcasting a message across other connected Home devices. There are 50+ new experiences packed into Assistant now for families, including, story telling and much more. Support for smart home devices has also been increased to over 1000+ products with Nest products being taken into the fold as well. Oh hey big surprise google copying people again. Pixelbook is such a copy of surface book. Who really wants to use a pointless chrome OS system now that MS is giving oem windows 10 licenses for $0 to manufacturers. But hey google knows best. Just like it did with Google+ which became the most popular social media platform in the….wait a minute.